What to wear ski touring can be tricky to figure out due to the sweat equity gained on the climbs and the chilly, rewarding descents. Trial and error generally end up helping you nail down your setup, but wouldn’t it be easier to have a little guidance? So check the forecast and read-up, because we’ve come up with our go-to list to help you take the guesswork out of what to wear on your backcountry skiing or boarding adventures. The quickest and easiest way to ruin your day ski touring is to get blisters from the outset. Make sure you have a warm, moisture wicking, anatomically fitting sock. We love Icebreaker’s ski specific socks for all these reasons. Available in men’s and women’s versions. Similar to the socks, if you don’t have a warm, yet moisture-wicking baselayers for ski touring, you’ll get cold, wet, and chaffe more easily. 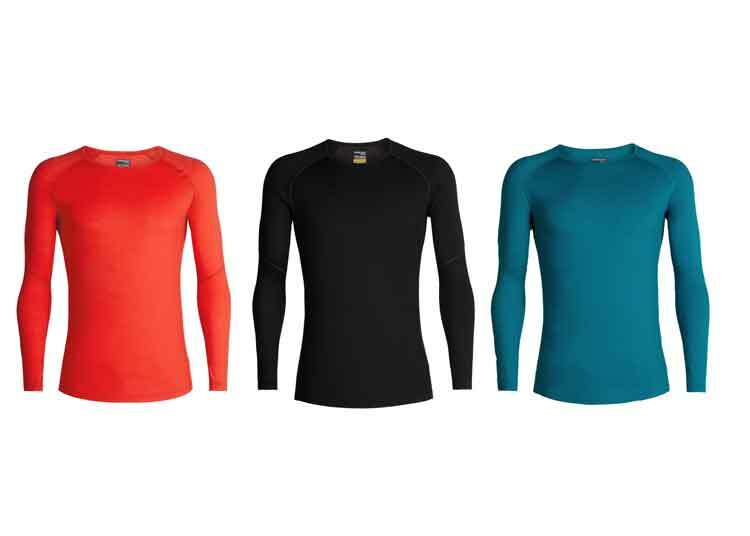 No matter what style you choose, make sure it’s not cotton based, and has properties similar to the Icebreaker’s merino wool tops and bottoms. 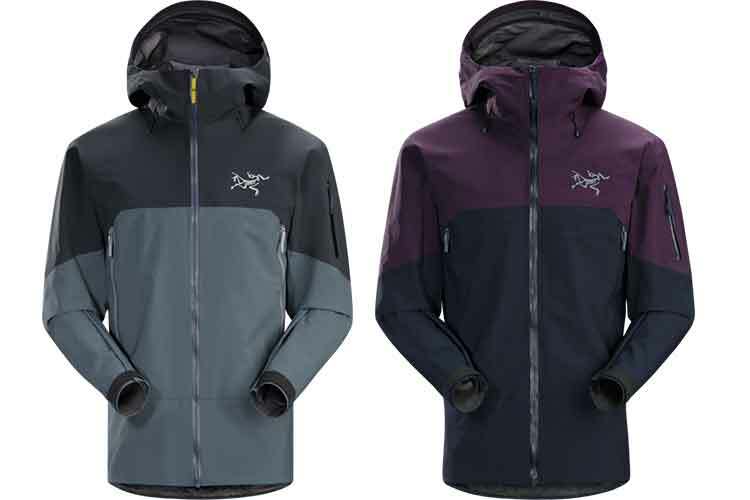 For the ultimate ski touring midlayer, we love the Arc’teryx Proton LT Hoody. It’ll make sure you’re warm on the way to start your skin and on the descent down the mountain after all the hard work. If it’s a particularly cold ascent, this layer is breathable enough to keep you warm and dry, but super compactable, so easy to stowaway if it’s a sans-midlayer kind of climb. Baselayers can’t do their job if you don’t have the proper outer layer on. We recommend a shell liner that’s GORTEX and breathable, allowing your perspiration to leave, but not letting the water molecules in. We love the Arc’teryx Rush LT Pant , as they have zipper vents when you get really warm on the climb, and are purely a shell, no insulation, so you can dictate how warm to dress yourself. Similar in specs to the Rush Pant, we love the Arc’teryx Rush Jacket for ski touring. It’s waterproof and windproof, yet breathable enough for the ascent. We also love that the Stormhood is helmet compatible, offering coverage in snowy conditions, yet designed with your sight in mind. We all know when you’re expending a lot of effort on a climb, hands heat up fast. Thick mittens or gloves for the descent will be too much for the climb, but you won’t want to leave your hands fully exposed. We recommend the Black Diamond Midweight Softshell glove for the climb to keep your hands dry, warm, and offer you secure grip on your poles with their goat-leather palms. Don’t forget to keep your head warm on the way up the mountain. 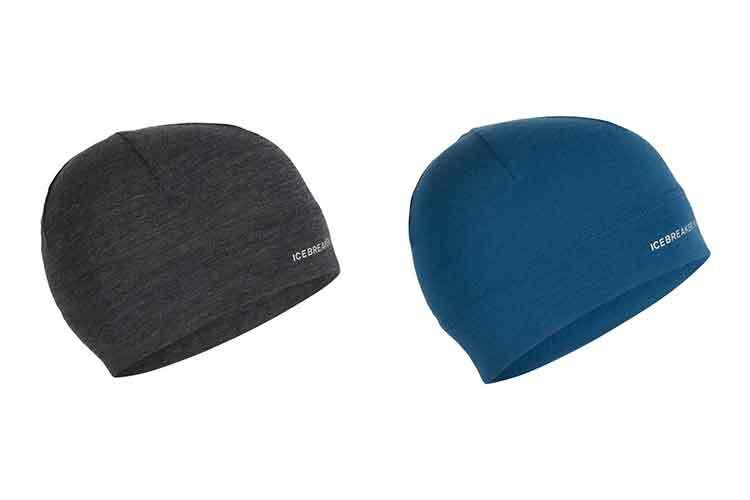 Grab your favourite ball cap to keep the sun out of your eyes on a bluebird day, or try out a lightweight, moisture wicking toque from Icebreakers. Don’t leave home without it, kids. Most all avalanche packs or daypacks for ski touring are equipped with a carrier for your helmet on the ascent. For those bluebird days on the climb, you’ll be so thankful you didn’t leave your sunglasses at home. Pack them up and swap ‘em out for goggles on the descent. Have more questions about what you should be wearing on your ski tour? Stop by our Whistler or Squamish location to pick the brains of our backcountry experts. Everyone has their own tips and tricks, and you might just learn something you’ve never thought about.